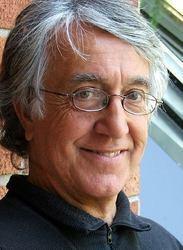 David Barsamian travels extensively to give public talks. He is available to speak on such topics as: the media, propaganda, war, U.S. foreign policy, the Middle East, South Asia, and imperialism. You can watch and listen to many of his talks on the free audio/video page. Contact us about having David Barsamian speak to your group. His honorarium starts at $1,000. View his upcoming travel schedule here.